Ten years ago, in 2002, Bigfoot, it appeared, seemed on the way to getting a lot of political support from Oregon’s new governor Ted Kulongoski. 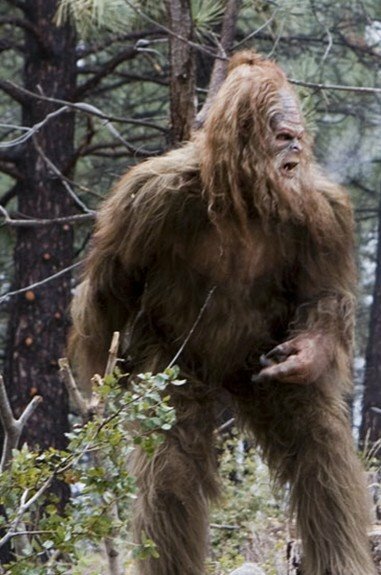 The Democrat had been a longtime Sasquatch supporter, who, in June 1977, sponsored a bill to protect the hairy creature from harassment by penalizing assaulters with two days of picking up trash on state highways. Kulongoski will always be known as the Oregon Governor who proposed Bigfoot protective legislation as a junior representative in the Oregon House. In 1977, then-state Rep. Ted Kulongoski, wearing a gorilla suit, stood on the floor of the Oregon House of Representatives to introduce a resolution to prohibit “harassing, annoying or intimidating” Bigfoot, Sasquatch or a similar creature by any other name. Violators would be required to pick up roadside garbage. Kulongoski then became Oregon’s governor, guaranteeing that Bigfoot had friends in high places. Theodore R. “Ted” Kulongoski (born November 5, 1940) is an American politician who ended up serving as the 36th Governor of Oregon from 2003 to 2011. A Democrat, he served in both houses of the Oregon Legislative Assembly and also served as the state Insurance Commissioner. He was the Attorney General of Oregon from 1993 to 1997 and an Associate Justice on the Oregon Supreme Court from 1997 to 2001. Kulongoski appeared to not have moved the political landscape forward for Bigfoot. But he clearly paved the way for the present governor who is rather comfortable being out of the closet about his cryptozoology interests. John Albert Kitzhaber (born March 5, 1947) is the 37th and current Governor of Oregon. He served as the 35th Governor of Oregon from 1995 to 2003 and became the first person to be elected to the office three times when he was re-elected to a non-consecutive third term in 2010. Prior to becoming a politician in Oregon, he was a practicing physician. Kitzaber, will always be known as the first Oregon Governor to acknowledge in front of TV cameras, and while in office during his second term that Bigfoot is real, and still got reelected. Previous Entry: Where in the Champ World Are Dennis Hall and Elizabeth von Muggenthaler?